China Fortune Holdings Limited ("the Company") is a company listed in the Main Board of The Stock Exchange of Hong Kong Limited (stock code: China Fortune 0110) with a number of 820 million issued shares. The Company was formerly known as "Fortune Telecom Holdings Limited" (stock code: Fortune Telecom 0110) before it changed to its existing name on 18 October 2007. 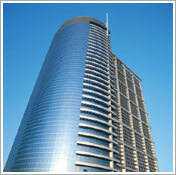 The Group's head offices are located in Hong Kong and Shanghai respectively. The Group has businesses span all over the PRC with more than 300 employees. 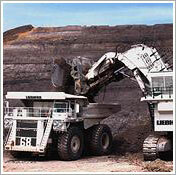 The Group possesses 3 core businesses, including mineral resources, telecommunication and investment. The Group was founded by Lau's brothers in Hong Kong on 18 February 1992 and became the first national distributor in the PRC for Nokia's mobile phones and actively expanded its network. In 1996, the Group set up its PRC head office in Pudong, Shanghai and became the national distributor for mobile phone manufacturers including Philips, Siemens, NEC and Samsung. 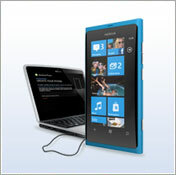 In 2007, the Group successfully shifted its traditional national distributorship business into its existing sole fulfillment distributorship business for Nokia Stores. In the latter half of 2007, the Group announced to enter into the mineral resources business in the PRC and successful completed the acquisition of a mining company in 2009. The mining site is located in Hubei province with abundant mineral reserves in Strontium, Zinc and Lead, in particular, the Celestite ore (with Strontium) and the Zinc ore has a reserve of more than 7.4 million tonnes and 0.26 million tonnes respectively. The Company has a strong shareholders' background and a professional management team which has built good trading record in the past. The Company was initially listed on the GEM Board of The Stock Exchange of Hong Kong Limited (Stock Code: 8040) on 16 February 2000 with a listing proceed of HK$180 million and was the first company in the GEM Board of The Stock Exchange of Hong Kong Limited to have a distribution of dividend to its shareholders. On 26 January 2004, the Company was shifted to the Main Board of The Stock Exchange of Hong Kong Limited (Stock Code:110). Up till end of 2008, the Group is able to achieve a turnover of more than HK$2 billion for 7 consecutive years. The Group principally engages in mineral resources prospecting, exploitation, smelting and investment. In December 2009, the Group acquired a Strontium mining site (with exploitation right) in the Hubei Province in the PRC, this mining site has the second largest reserves of Strontium in the PRC and has varieties of rare minerals including Lead, Zinc,Gold and Silver . The Group principally engages in mobile phone fulfillment services, design, retail and logistics and the Group is the sole fulfillment distributorship for Nokia Professional centers in the mainland China. In 2007, the Group has invested in Zhuhai in 珠海市雷鳴達通訊 which is a telecommunication equipment retailer. The Company intends to explore to diversify its business portfolio into areas such as investment and merger.